That semi-clear plastic that comes with the item you bought online and has tiny bubbles in it that you love to pop is called a bubble wrap. This plastic is a layer of protection that covers your fragile online orders to make sure that the item arrives on your doorstep intact, scratch free, and crack free. You might think that there’s only one type of bubble packaging available because that’s the one that you see all the time. 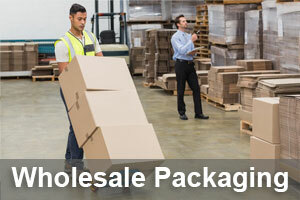 The truth is that there are many types of wrap that people use to wrap their breakable packages. Anti-Static Bubble – This kind of packaging wrap comes in pink and is often used to bundle up electronics such as laptops and other computer parts. You can buy Anti-Static Bubble in rolls that are 12 inches wide. 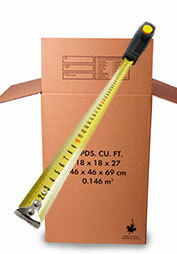 The thickness of this wrap can vary from 3/16” to 1/2″ thick. This is made of low-density polyethylene that deters external static by channeling the electricity around the object. Bubble Pouches – Bubble pouches are the most common type of bubble wrap that many people are familiar with. Bubble Pouches is white and comes with almost any kind of package that gets delivered to your home. Bubble With Dispenser – This is similar to item number 2 except that it comes with a dispenser. For people who pack many different items in a day, this can come in handy as you don’t have to hold the roll of wrap and cut it manually. The dispenser will make it easy for you to cut the wrap to your desired size. Clear Bubble Wrap – This is similar to bubble pouches but it is less opaque. When you use this type of wrap, you can see through the plastic material and see the item inside. Kraft Bubble Paper – this combines the bubble pouch with the kraft envelope. Many online sellers use this kind of wrapping to protect their products during transport. This type of plastic wrap comes in different sizes and can fit many different things such as lotions, glass items, and other fragile things that are classified as breakable. These different types of bubble wrap make sending packages to your loved ones safer. The protection that they provide gives you peace of mind that the items that you are sending out or are expecting to receive will get to their destination without a scratch or the smallest of dents.